If you’re looking to plan a trip with multiple destinations in different countries, it can be a little overwhelming. Figuring out the layovers, connecting flights, and best price for complicated travel plans can be a headache, but it doesn’t have to be. Scheduling stops in multiple countries on your flight path requires a lot of planning to say the least, so let’s break it down into three easy steps and explain how Expedia can help. Your list of “wants” will include places you want to see, things you want to do, how long you want to stay, and what you want your budget to be. Many people find it helpful to plan their trip around a common theme or idea. Maybe you want to see famous museums in different countries, learn about architecture, or even try the food from around the globe. If your itinerary has a common theme throughout the trip, it will be easier to choose your destinations. If some of the things you want to do or places you want to go are outdoors, be sure to check the weather in each destination that time of year. Be sure to look into any local events or festivals around the time of your trip because that can affect hotel and flight availability. Look into visiting hours for every attraction you want to see, this will help you pick flights with the right timing of landing and take-off. When you’re planning out your trip it’s important to map out each location. This means looking at the proximity from one to another and deciding what’s feasible for the amount of time you’ll be traveling. If you only have one week to travel, it isn’t a good idea to choose destinations that are across the globe from one another because you’ll end up spending more time traveling than you will exploring. For instance, if you’re taking a trip to France, booking a flight to Brussels would be a feasible distance to travel for a change of scenery. It’s a good idea to plan your travel in a way that makes sense in comparison to where your home is. If you plan the trip to wrap back around closer to your home, it will make more sense when it comes to the flight back. Adding in a little bit of extra time for each location is always a good plan because you never know when an area will really peak your interest. When it comes to exploring multiple countries on one trip it can become stressful because of a tight schedule, so be sure to book flights with plenty of time between between arrival and departure to explore the area. As we all know, traveling can be expensive. Flights are one of the most important aspects of traveling, but also one of the most costly. Planning direct route flights can be more expensive, but it also makes the traveling less hectic. If you can’t book direct route flights, look for flights with more than a two-hour layover. If a destination has less than a two-hour layover and one flight along your trip is delayed or running late, it can create a domino effect and cause you to miss the next flight or not make it to a destination as planned. Besides your flight plans, having a plan and price in mind for hotels along your trip is also extremely important. To make the most out of your traveling and your money, consider bundling your flights and hotels into a package together. Not only can this method lower costs, but it takes some of the stress out of booking your trip too. 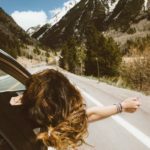 If needed, book a car for each destination or have a budget plan set aside for local travel expenses once you reach each country along the way. Flights and hotels for each location will vary in price, so take a look at what the cheapest route is along the way and which stops should come first or last on your flight pattern. Once you have an itinerary and budget laid out, you can begin booking your trip. Europe is a great place to explore multiple countries in one trip because flights from one destination to the next will be short and affordable. Travel sites like Expedia make it easy to bundle flights, hotels, and cars for each country along the way. So don’t wait, start planning your getaway today.